coromandel preachings: What's the question? for what would prove to be a fatal procedure. "In that case, what is the question?" and towards asking the right question. or who believe we know the mind of God. by my encounter with God. What does it mean to follow this Way? to live properly and well? political harshness in the form of a Budget. that many of us don't actually think we have. What questions does this pose for me? 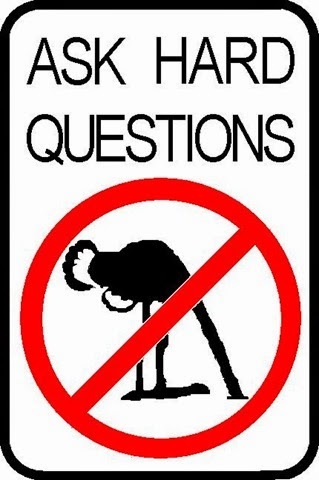 instead of asking hard questions. Steve you don't seem to have understood the thrust of what I was saying, which is that the Bible is not a rule book. Paul himself warns against this sort of legalism. I don't agree or disagree with the thrust of what you are saying. Though I do note you are promoting your own blog which has its own narrow agenda. I think there is a difference between what the writers of the New Testament thought they were doing by, say, writing a letter to a Christian Church. And what the Church decided sometime later was worth including in the Canon of Scripture. It could be noted that there were many 'writings' going around the early Church which were not subsequently included as The New Testament. The authority comes not from the fact that God was dictating to the writers (this is a much more Islamic view of Scripture where Muslims believe the Prophet received the Holy Quran by angelic dictation) but rather that the Church, inspired by the Spirit, was able to discern God's hand in some of the many writings. Indeed a minority. Scholarship, including conservative scholars, would suggest it took at least two Centuries for this process. I don't know any reputable scholars who would or could validate the the dating of the individual books contained in your list. Apart from the fact that there would seem to be no extant documents before the second century, I think you need to do more to validate your assertions than just assert!